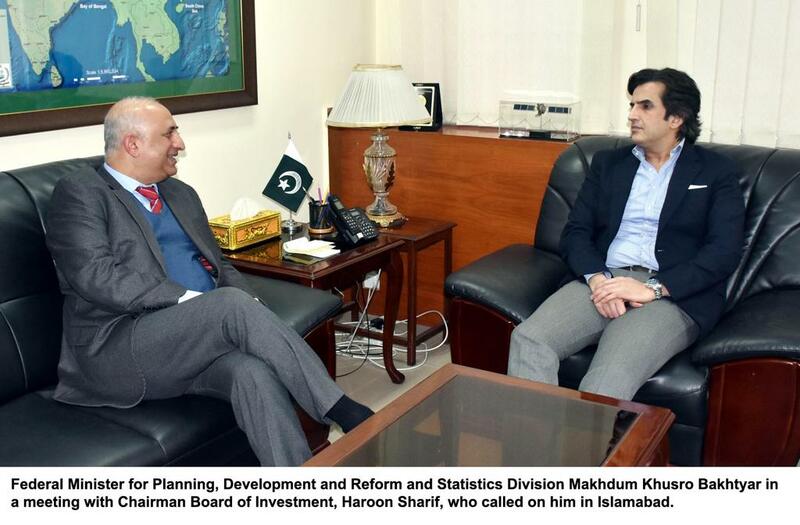 Pakistan and China together to shape industrialization of Pakistan, expressed by the Minister in a meeting with Mr. Haroon Sharif, Chairman Board of Investment (BoI) here. The meeting was also attended by Secretary Planning Zafar Hasan and Project Director CPEC Hasaan Daud. Minister said that as per vision of the Prime Minister, industrialization is a key target for CPEC short to medium term phase. A roadmap for industrial cooperation be finalized with a focus to attract maximum foreign direct investment in Pakistan, he desired. Mr. Bakhtyar stated that precious time has been wasted in the past that hampered progress on this most important sector. All formalities including an attractive incentive package to be firmed up within three months, emphasized Minister. He also instructed to study regional special economic zones development models in order to offer a competitive regime to future investors.